1. Today is my dear friend Jessica’s birthday! Jess and I formed a friendship over coffee and Africa conversations, so you know we were off to a good start! I so cherish our friendship and each opportunity we have to spend time together. I admire her love for the Lord and the way her joyful, graceful spirit invites others to discover the source of such joy. 2. Cleansing, mud-making, constant rain that makes each hillside gloriously green. 3. Breaks from the rain when the sun seems to come out of nowhere. 3. Sweet children splashing in mud puddles. 4. The open invitation to teach the Word of God at a public school twice each week during their morning assemblies. 5. The ZEBS classes happening at Sunbury this weekend and all over southern Africa each month. 6. God’s ridiculous, radical grace that allows us an opportunity to reach the amaZioni with His Word, imperfect, insignificant, sinners though we are. Sometimes stopping to think about it just reduces me to tears. Why Zion? Why CCC? And who am I to be here?! 7. An abundance of fresh food. 8. Technology that allows me to see John so that while we are thousands of miles apart, we can stay connected. 9. 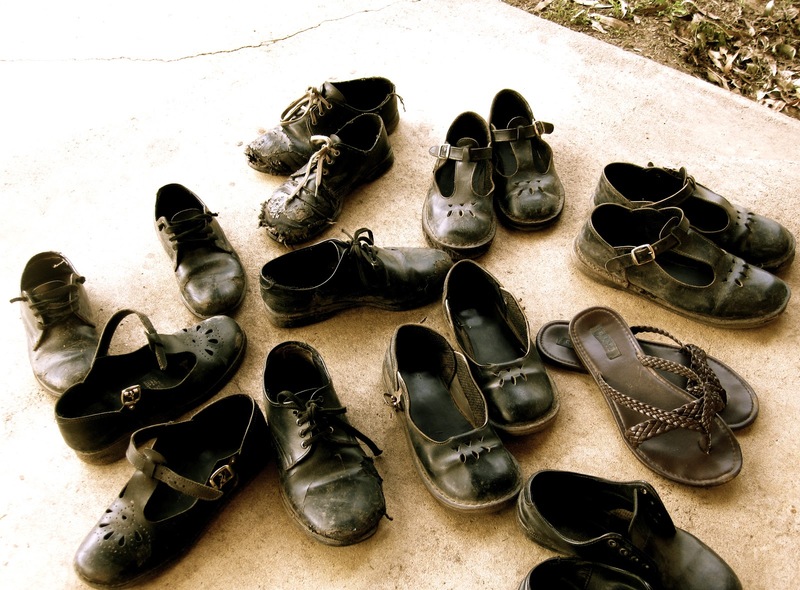 9 pairs of muddy shoes belonging to 9 great kids in my tutoring group today.